Imogen's Typewriter. 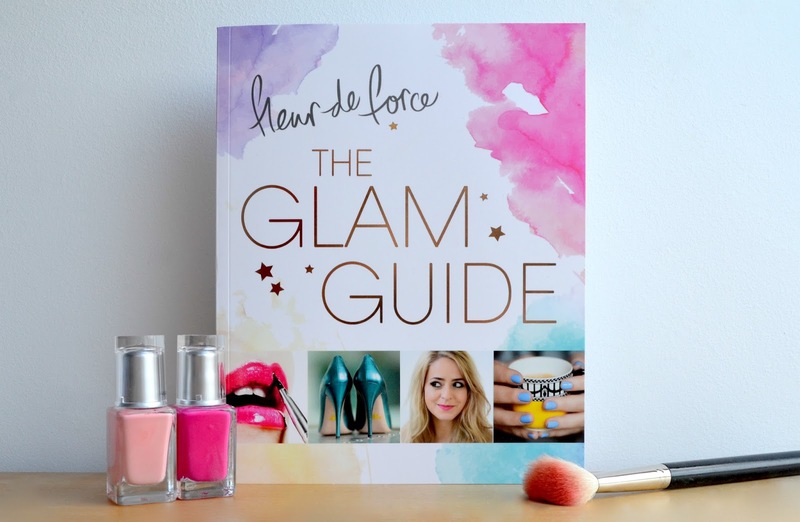 : Book Review: The Glam Guide by Fleur De Force! Book Review: The Glam Guide by Fleur De Force! I was pretty excited when I found out that Fleur was writing a book. I've been subscribed to her on YouTube for years and years, and hers was one of the first blogs I ever found, eventually leading to me starting my own. This book is split into seven main sections so I'm going to split my review up as such. Lets get to it! The beauty section is one of the parts I was most excited for, I don't know quite what I expected but I definitely didn't expect the basic information there was, nothing you couldn't find in a quick google. If you're hoping for comprehensive beauty tips, I'd look into the Bobbi Brown make up books- they're great. If you're a beginner than this is a good place to start. Pretty short section at 20 pages and again nothing new. You get some hairstyles, some DIY masks and some colouring tips. I did my usual sticky note way of reading (I swear my post on this will be up soon) and this section had none. The fashion section was interesting, mainly because it's not something I know a lot about like the beauty and hair section. It's made me rethink my packed wardrobe and want to do a bit of a revamp once I have some extra cash. I really liked that it wasn't just OOTDs and had actual recommendations of how to put outfits together. The tips are simple but classic and something I think anyone could do with being reminded of. I love travel, I love reading peoples experiences, favourite places, travel tips, everything. I just wish this section was longer! At a meagre 18 pages, it was over as quickly as it began. There's a packing page, a page on travelling in style (nothing is going to make me give up travelling in sweatpants), a couple of pages on in flight beauty and a couple of pages on jet lag. I just wanted more. I really don't have much to say on this section. Health and Fitness is so personal from person to person I think it's a tricky subject to cover. I will say I think the recipes were unnecessary for anyone with Pinterest but the Fitness Shortcuts were interesting. If you're a relatively healthy person who wants to start exercising then go for it. This! This was what I wanted and hoped for. Tips on self-confidence, body image, positive thinking and life goals. All were subjects dealt with class and honest to god helpfulness. I especially loved the section on admiring achievements, not criticising other women based on looks. As someone who went to an all-girls school, this was a mindset I really had to work on as I grew up because we're all so conditioned to be horrible to other women. I hope the people reading this book really take it to heart. As a blogger, I was excited for this section but it was definitely aimed more at YouTubers which I understand. Fleur is primarily a YouTuber. If I ever start a YouTube channel, I'll probably refer back to this. Overall, I didn't hate this book but I also didn't love it. I think the artwork and design was spot on and what was there, was good. It had some really great bits that just needed expanding- especially for the asking price of £14.99! Even for the £7.49 price on Amazon . I understand that as a content creator, it's sometimes hard to come up with things that are fresh and new, and that's why I think the book could've done with more about Fleur. My favourite of these types of books is actually Jennifer Farley's (Jwoww from Jersey Shore) as so much of her personality and culture is in it. I would've loved that from this book. What do you think? Have you / are you going to read The Glam Guide? Picture the Poet & Meeting Benjamin Zephaniah! Books I Read in February! Sheila O'Flanagan: Top 5 Holiday Reads!